A replica of the jersey Colorado Rapids players wear at home games. 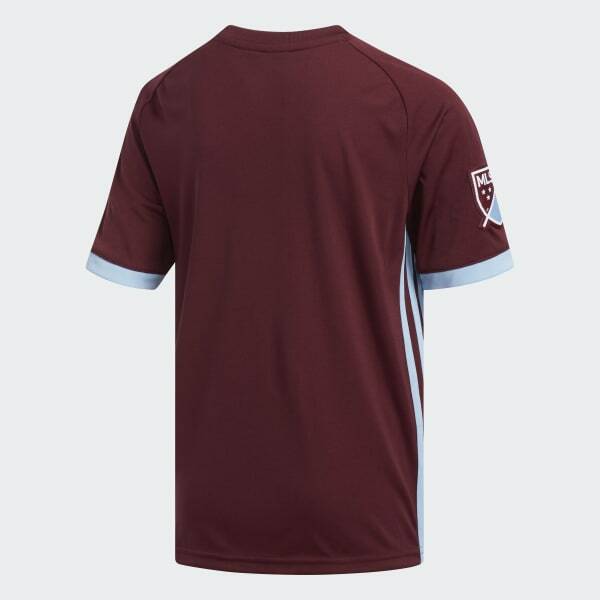 When Colorado Rapids players pull on their team's home uniform to take on their rivals, they wear a version of this junior boys' soccer jersey. Made with a looser cut than player jerseys, it features moisture-wicking Climalite, a sewn-on badge and a new take on the team's classic soccer colors. adidas is dedicated to creating products in ways that minimize their environmental impact. This jersey is made with recycled polyester to save resources and decrease emissions.